RemindMeCare was built by a team of social entrepreneurs with experience caring for those with dementia, supported by experts including Lindsay Royan, Head of Psychological Services at North East London NHS Foundation Trust. The business is set to launch its Alexa-integrated app to support elderly, dementia and learning disabilities care at the GIANT Health event, taking place on November 21 and 22 2018 at Chelsea Football Club, London, SW6 1HS. 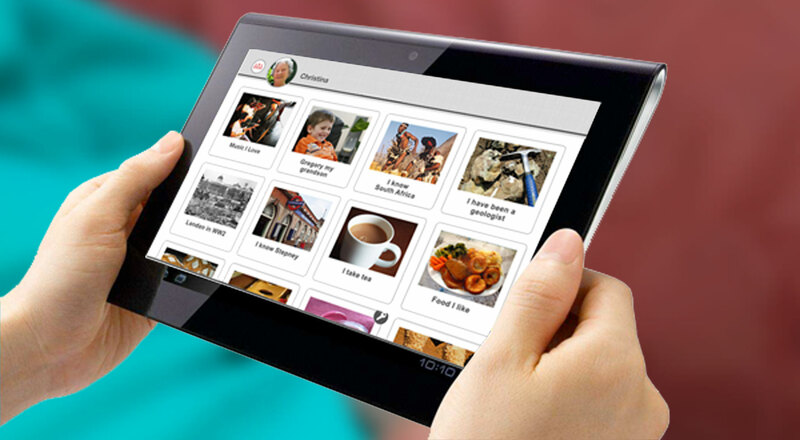 The internet-hosted-digital-activity-based app builds a profile of the person being cared for through data acquired from digital assessment, remote family interaction and algorithm- based activities such as games, reminiscence and cognitive therapy. This significantly enhances person-centred care and reporting, whilst also generating a return on investment for care businesses who are investing in tech to improve the care process. Client acquisition, digital assessment, family reporting and staff morale are improved and both therapy and group entertainment are supported, whilst admin, family and Care Quality Commission (CQC) reporting are enabled. First used in the formal care sector in early 2017, ReMe is now used in care homes and day care centres in the UK, Europe and Australia, Singapore and Delhi. ReMe has also been configured for use in hospitals and is now in the process of establishing an evidence base for its efficacy as a digital therapeutic, with a study being undertaken by Kingston University to appraise key care metrics at Kingston Hospital, Surrey, UK. “So, we’ve integrated ReMe with Amazon’s Alexa. However, the issue was how well a voice engagement process, such as Alexa or Google Home, will interact with the individual. We were not sure whether someone with dementia would feel disorientated or whether they would welcome the interaction. “The solution lies in the knowledge that ReMe stores of the person learnt through activities and family participation. With regular engagement it becomes possible to remotely prompt medication and hydration alerts, and reminders and improved community engagement”. ReMe is the leader in activity-based software and Simon Hooper will be presenting ReMe for care in the community use and discussing the potential for using Alexa in care homes with their specialised integrated ReMe at the GIANT Health event at Chelsea Football Club on Wednesday November 21 2018. The team at RemindMeCare will also be presenting their solution to the issues now faced by both families and care homes in light of current General Data Protection Regulation (GDPR) legislation. Simon Hooper concluded, “Families want to be sure that their highly personal data is not being exploited by those that have access to it, while care homes want to reassure them that they are complying with GDPR regarding the personal data that they use and ReMe holds. This highly sensitive information includes a person’s life story, memories, likes and dislikes, preferences, habits, moods and family information. “ReMe is the world’s first app that provides a compliant solution for the personal data, what we call Electronic Life Records (ELR). This new data set truly enables carers to provide better care and will be used, with the families’ consent, to assist researchers to better understand how lifestyles can impact on the prevention of such conditions and can assist with post-diagnosis support of those cared for in the community. RemindMeCare, is a sponsor of the Blockchain in Healthcare day at GIANT, taking place on Thursday November 22 2018. RemindMeCare. The other sponsor to this strand is the specialist consultancy, Grovelands. For further information, please contact Simon Hooper on +44 (0)203 884 0335, or via email simon@health-connected.com or Steven Hanlon on +44 (0)333 344 2341 or steven@famouspublicity.com. This press release was distributed by ResponseSource Press Release Wire on behalf of RemindMeCare in the following categories: Men's Interest, Health, Women's Interest & Beauty, Consumer Technology, Business & Finance, Education & Human Resources, Medical & Pharmaceutical, Media & Marketing, Public Sector, Third Sector & Legal, Computing & Telecoms, for more information visit https://pressreleasewire.responsesource.com/about.